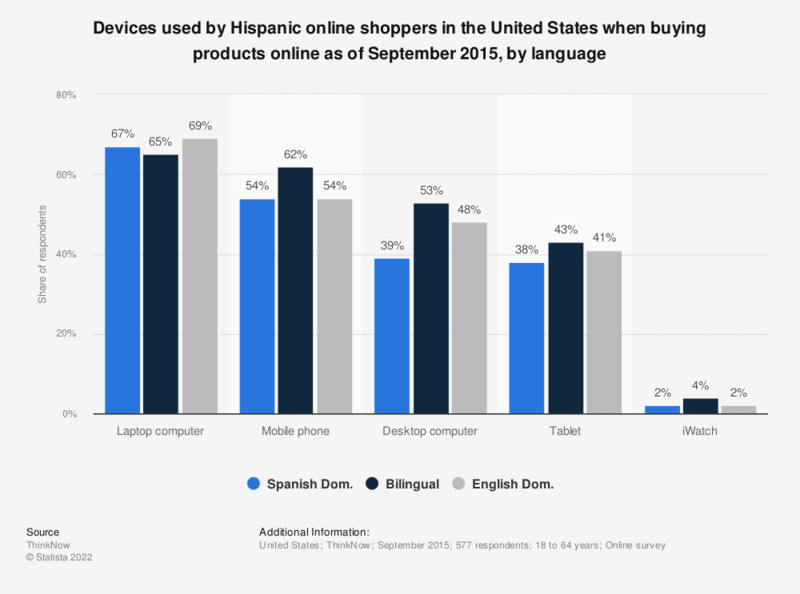 This statistic presents the devices used by Hispanic online shoppers when buying products online in the United States as of September 2015, sorted by language. During the survey period, 62 percent of responding Hispanic online shoppers who grew up bilingual stated that they used their mobile phone for online shopping. Q9. Which devices do you use when you buy products online?